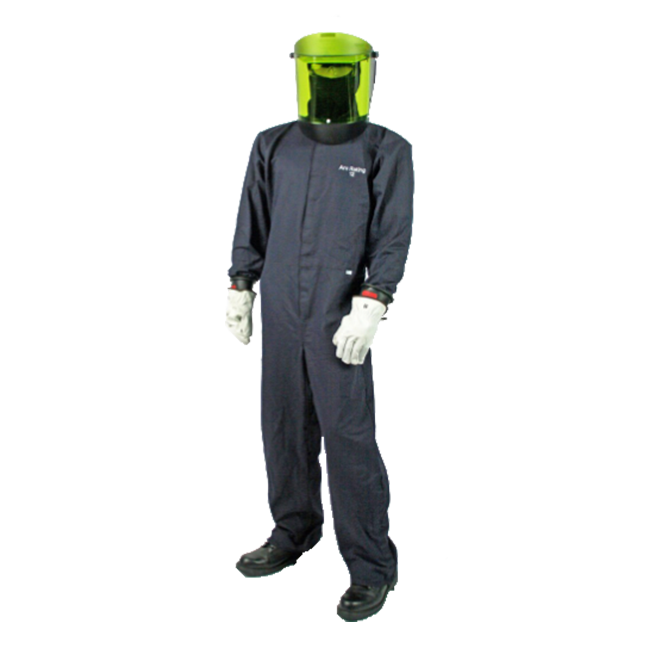 12 cal/cm² ATPV FRTreated Cotton Coveralls. Available in sizes Small through 5X. Elastic back for ease of movement. Two-way covered FR Velcro® open front for easy entry. FR Velcro® calf and ankle straps for ease of wearing with boots, tightening and shortening if required. Chest: Using a tape measure, wrap tape around back and under arm pits, finishing across the chest. Select corresponding size. Measurements should be made over normal work clothing or uniforms. Inseam: Measure from crotch to top of foot, along inside of leg. Typically, normal pant inseam length is the right length. Outerwear is manufactured in larger than standard sizes to fit comfortable over clothing.